You need to set reminders on your phone or computer so that you do not forget things. People may forget important things because of the heavy workload that they have. 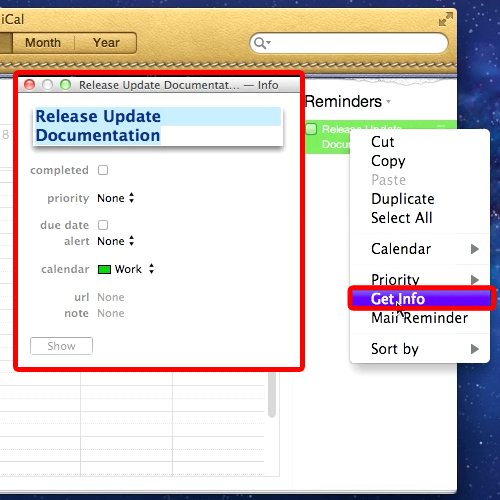 Reminders in mac can be set through iCal. 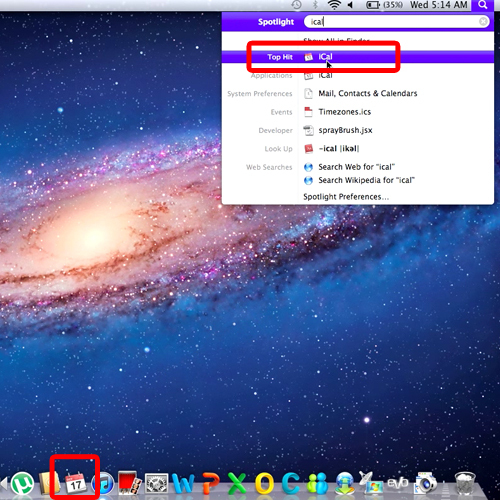 To set a reminder for mac, follow this step by step guide. To set reminders, first of all open up iCal. You can do so by either searching for the application using spotlight or opening up the application by clicking on the “iCal” icon located on the dock. To set up a new reminder, go to the “file” menu and choose the “new reminder” option. 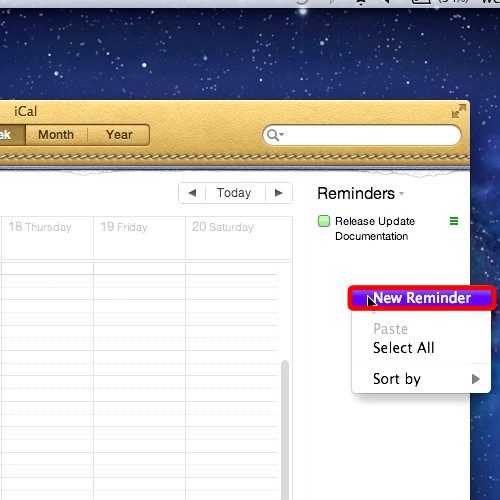 Once done, the window will expand and you will see the reminders section towards the right side of the screen. Name your reminder for mac and hit “enter”. With that done, right click on the reminder and choose the get info option. A new window will appear towards the left side of the screen. Here you can make some changes to the reminder, for example set up the priority level of the reminder and even categorize it. 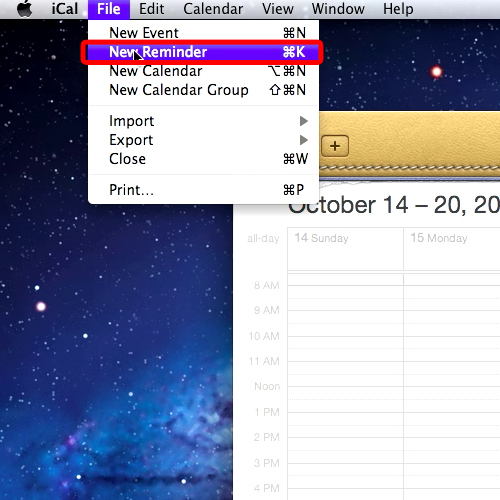 To add new reminders in mac to the calendar, simply right click on the “reminders section” and choose the “new reminder” option.